Beware of the Front Yard Gardener – Really? Bear with me fellow harvest managers, while we stand in solidarity with a front yard gardener. 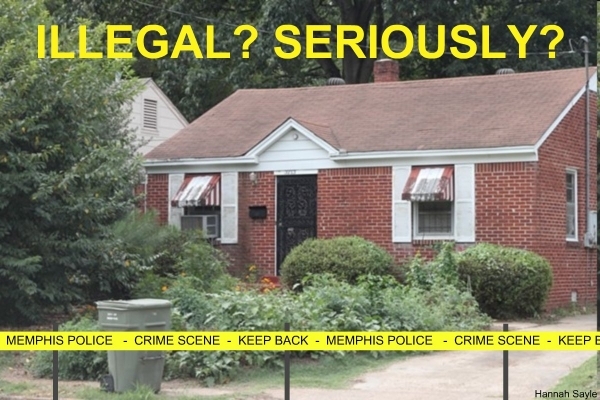 The front yard garden of Adam Guerrero in Memphis TN has been labeled a crime scene. He’s accused of violating city ordinances 48-38 and 48-97 for failure to maintain “a clean and sanitary condition free from any accumulation of rubbish or garbage”. High school math teacher Guerrero uses the garden as a teaching tool, but now he’s been ordered to remove it by September 23rd.